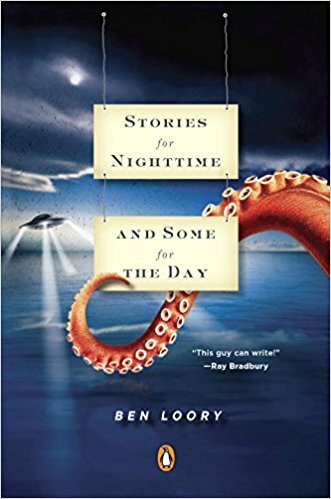 I’m currently reading ‘Stories for Nighttime and Some for the Day’ by Ben Loory and I’m enjoying each very short-story. Loory's collection of wry and witty, dark and perilous contemporary fables is populated by people- and monsters and trees and jocular octopi- who are united by twin motivations: fear and desire. In his singular universe, televisions talk (and sometimes sing), animals live in small apartments where their nephews visit from the sea, and men and women and boys and girls fall down wells and fly through space and find love on Ferris wheels. In a voice full of fable, myth, and dream, Stories for Nighttime and Some for the Day draws us into a world of delightfully wicked recognitions, and introduces us to a writer of uncommon talent and imagination. Contains 40 stories, including "The Duck," "The Man and the Moose," and "Death and the Fruits of the Tree," as heard on NPR's This American Life, "The Book," as heard on Selected Shorts, and "The TV," as published in The New Yorker.